if you’re a menswear enthusiast, you’re probably checking the date on this post and making sure you’re on the right one. yes, i realize these were much hyped 4 years ago and i should have jumped on them then, but no better time than the present, right? i’m feeling these right now and i couldn’t tell you why. maybe it’s because they’re different. maybe it’s because they’re good looking. maybe it’s that damn ring. i dunno. they’re just plain awesome. if you need a better description, you can check them out here or on my feet when they arrive this week. i’ve been slammed at work for the past two days and haven’t been able to post or read any of my favorite blogs. while i was out, j. crew has been busy adding some new things to their store. let’s take a look. 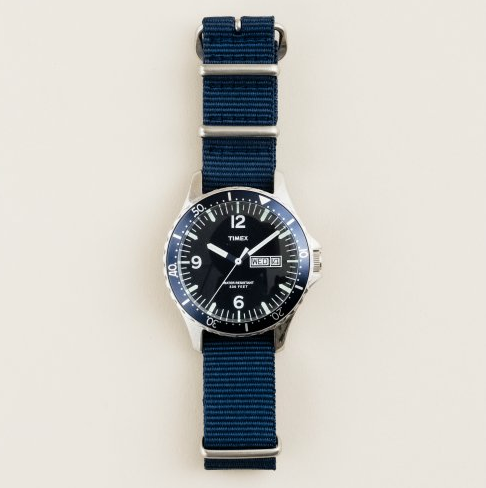 timex andros watch – in most cases i would be opposed to paying $150 for something that costs considerably less to make, but this watch looks impressive. 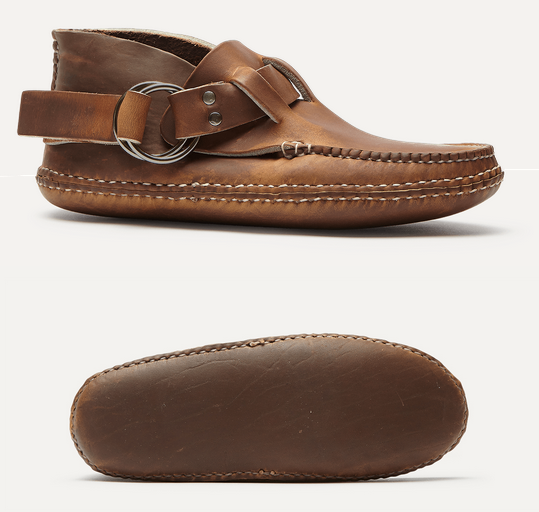 limited edition alden black alpine longwing bluchers – these bluchers are handcrafted in horween’s chromexcel pebbled leather and then hand stained and polished. better act fast. 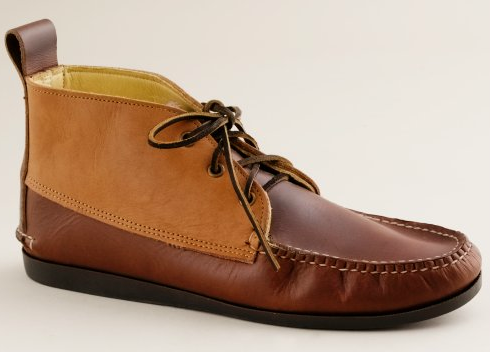 quoddy tri-color chukka boots – i’m embarrassed to say i don’t own anything made by quoddy. these would be a good starting point. 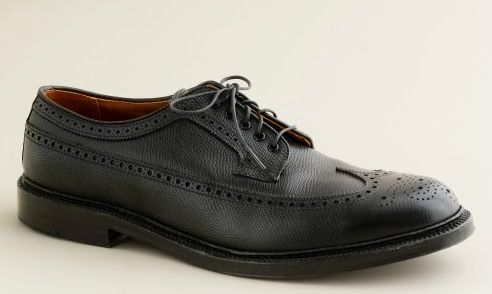 red wing 2904 – j. crew, please stop doing red wing collaborations. it’s killing my wallet. 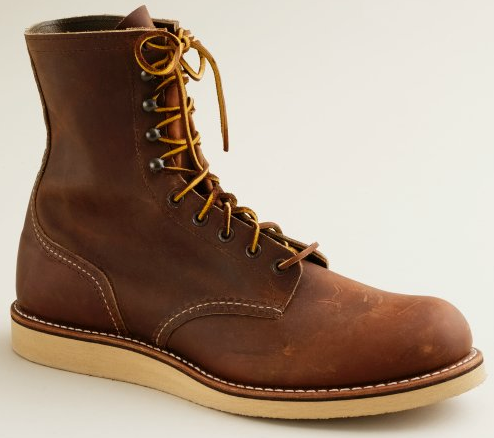 red wing experts correct me if i’m wrong but i believe this model was conceived entirely by j. crew. i’ve never seen it or heard of it before. 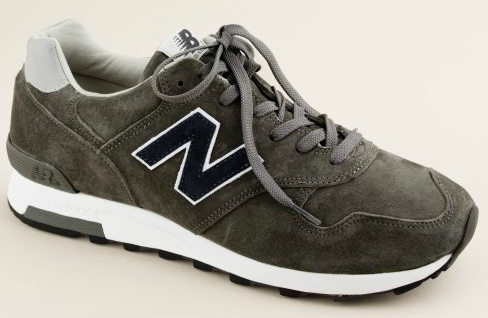 new balance 1400 sneakers – i know i talk about these ad nauseum but i really like this new military grey color. persol aviator sunglasses – aviators never go out of style. invest accordingly. 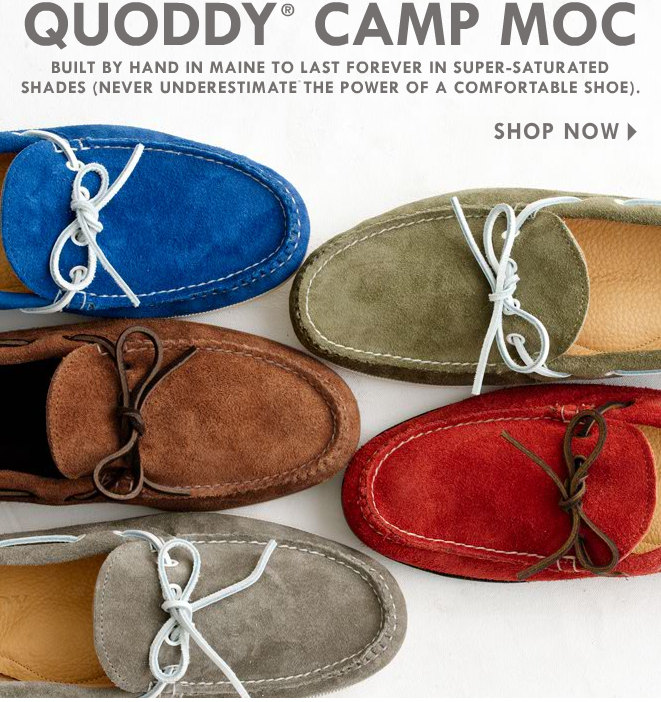 this ad makes me want to buy a pair of camp mocs. in fact, i think i need to. they look really comfortable. i had this post queued up for last week and forgot to hit publish. this morning i received an email from j. crew reminding me about them. i think it’s fate.